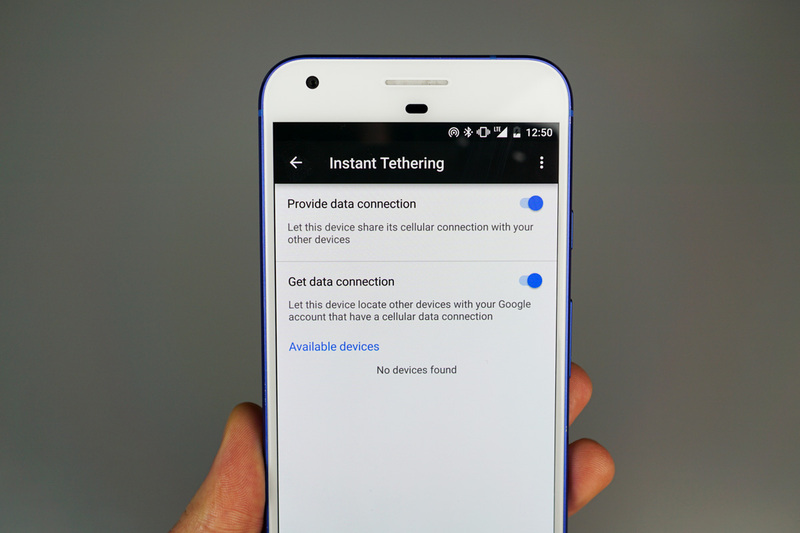 Instant Tethering, a feature created by Google to make the act of tethering two devices somewhat magical, is officially rolling out to a select number of devices. 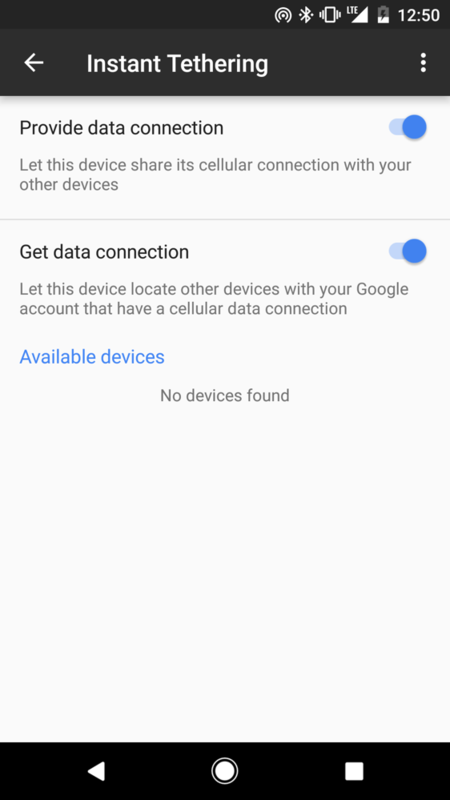 According to Google’s Omri Amarilio, the feature utilizes Bluetooth to establish a connection quickly between two devices signed into the same Google account. For example, if you have a Pixel C tablet with no data, plus a Pixel with active data, you can establish a data connection to the Pixel C in just moments. Listed on Google’s support page for Instant Tethering, the Pixel, Pixel XL, Nexus 6, Nexus 5X, and Nexus 6P running Android 7.1.1 and up can run as “host” devices. A receiving device will need to be a Pixel, Pixel XL, Nexus 6, Nexus 5X, Nexus 6P, Pixel C, or Nexus 9 running Android 6.0 and up. Of much importance, Google highlights that certain carriers have their own limitations when it comes to tethering. Some cellular carriers limit or charge extra for tethering. We recommend checking with your carrier. 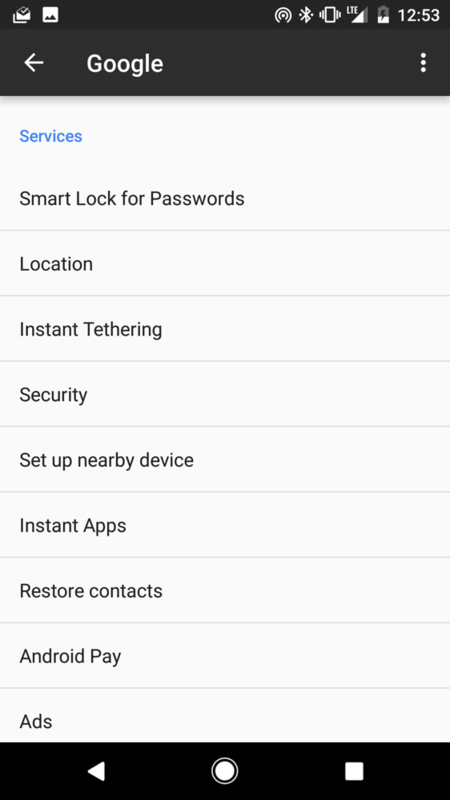 If your cell plan is green lighted for all sorts of tethering, and you have the required hardware with the latest Android build (and we know that’s not many of you), enjoy it. To find it, head to: Settings, Google, Instant Tethering.